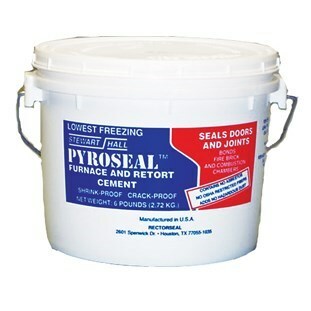 Pyroseal is a smooth, creamy, easy spreading furnace cement and retort cement that sticks where you put it. For high temperature sealing and bonding. Shrink-proof, crack-proof. Use in combustion chambers and for sealing doors and flue pipes. Contains no asbestos or OSHA restricted fibers.